With the release of Android Wear 2.0 and two new smart watches from LG, I thought it was time to talk about these things and the fate and future of smart wearables in general. There are many of them out there…do you own one? Want to own one? I take a short look at the new devices from LG, talk a few of what’s new in Android Wear 2.0, and give some thoughts on what the heck we can (or should) be doing with more technology, this time, on our wrists. Find the podcast on iTunes, Google Play Music, SoundCloud – download, subscribe, and tell a friend! I spend a lot of time in my car. And I need something to take my thoughts off the mind numbingly boring drive I have to make every day…so naturally, I turned to podcasts. Not only do I host and produce a podcast for Silicon Theory, but I do enjoy and listen to others as well. I originally got into the format using my loaner iPhone and though the podcasts app for iOS is fine, its not nearly as robust and fully featured as you might expect in a product from Apple. So I went on the search for something that would 1) work on the Android platform 2) have a few more perks than what I’d been using. And after a bit of searching (and lurking on message boards in various places) I came across the app Pocketcasts. And I couldn’t be happier I did. Yes, you read the headline correctly and yes, you are seeing this logo correctly. As most readers of our site will know, both Sean P. and I both have a well earned disdain for the largest mobile carrier in the U.S. and aren’t afraid to let it show. One of our biggest criticisms was their forced migration of customers off of old school unlimited data plans. As of Monday, things done changed. One of the reasons I left Verizon (after many years) was because of their borderline harassment of those people including myself who had legacy unlimited data plans – because it was very much in favor of the consumer, and not the giant mega-corporation. Out of nowhere and to many people’s surprise, Verizon made an announcement over the weekend that “you asked – we listened” and were bringing back the option to have a plan that offers “unlimited” data. I put unlimited in quotes because there are a few restrictions on the plans – both Droid-Life and Android Police did a pretty good and thorough write up on what to expect if you are looking into one of these newly offered plans. To get the skinny, look here for the DL review and here for the AP one. Check those out, and check out the newest episode of the Silicon Theory podcast as well! [Podcast] Episode 18 is live – February’s Rumor Roundup! The newest edition of the Silicon Theory podcast is here, and its February and the rumors are flying fast and furious! We take some time to discuss the newest phone from Huawei, rumors about phones from LG and Samsung, and give our takes on what we expect to see from MWC in a few weeks. Download or stream it today, and be sure to subscribe on your favorite podcast platform to make sure you get all the newest episodes as they go live. While you’re doing that, be sure to leave us a 5 star review as well. Most people will never know who the chairman of the Federal Communications Committee is, or even what the FCC actually does. But something that has come up with the recent changeover in administration is the subject of net neutrality, and what it’s impact on consumer choice in wired and wireless services is. First, to see what the whole deal is about, check out this Daily Dot article describing what Title II is and how it was interpreted by the previous chairman of the FCC to apply to broadband wireless companies, and this ArsTechnica article about the discussion in court which Tom Wheeler fought over and won. Whether you are or are not in favor of net neutrality, I think we can all agree on one thing; if the big ISPs are in favor of something, its probably not going to end up benefiting the consumer in the long run. No one trusts these super companies, nor should they. I’m a Spectrum user (formerly Time Warner Cable) but not by choice – its what I can get where I live. And there aren’t really any other companies offering cable TV and internet in my area. This same experience is playing out all across America, and while the concept of these ISPs as the dumb pipe that delivers the content you choose is fine – when the dumb pipe now has a say in what content is delivers to you, now we are getting into sticky territory. And this is where it comes back to broadband providers. AT/T is a broadband provider…who owns DirectTV. They are now in a position to dictate what content you can receive that doesn’t count against your data cap if you are an AT/T subscriber who gets your service discounted by bundling your TV/internet/mobile phone together. And many folks of modest means do this to have access to needed services, including the internet. The end of net neutrality could mean that our future and the future of the internet is in the hands of just a few large mega companies; and I don’t think that’s going to be a good thing. 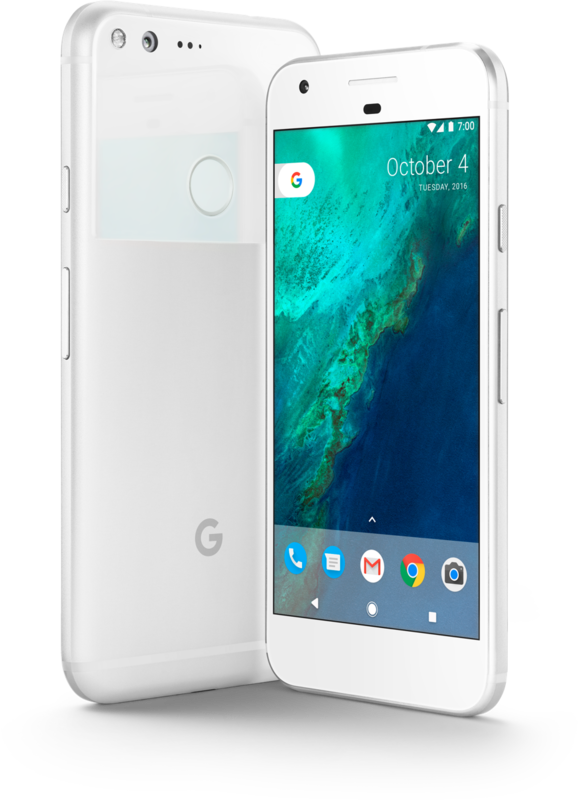 *The Google Pixel is a great mobile phone – IF you can get your hands on it. And you probably won’t be able to – its out of stock and backordered, in some SKUs for months on end. The 128GB Pixel XL is like the unicorn of the mobile phone world; seen much as a myth, because no one you know of has ever owned one. And likely all for good for Google reasons, as this 9to5Google article indicates that analysts predicted about 3 million Pixel devices to be sold in 2016. This Fortune article shows that Pixel activations on Verizon were no joke, and outstripped other OEMs by a long shot. Heck, even this BGR article on Pixel phones still being a hot seller (a notorious Apple rag, if BGR is saying it, then it MUST be true) shows that Google clearly underestimated the impact both desire and their marketing dollars would have on demand for their Pixel phones. Its gotten so bad for some folks that this AP article indicates that Verizon has started shipping free Daydream VR headsets to people impacted by the long back order delays. If Verizon is giving away free stuff, its probably as bad we all think it is. But that means good things for Google. So why isn’t it going to be in the HTC and LG flagships launched in 2017? There have been announcements for the HTC U Ultra and the forthcoming announcement expected at MWC about the LG G6 – both of which have/or will already go into production with the Snapdragon 821 processor…you know, the one in the Google Pixel and OnePlus 3T both of which launched in early Q4 of 2016. (not that the S821 is bad by any stretch, but given that the S835 has been benchmarked recently, it might make more sense to get the this year’s chip in this year’s phones) So why would two different OEMs be using “last year’s” chip to power their 2017 flagship devices? The answer may not have anything to do with cost and everything to do with availability. This report has indicated that Qualcomm has basically said that the bulk of initial production for orders of their newest processor are promised already to someone else – that someone being Samsung (for the presumed April launch of their newest Galaxy smartphones) – And Qualcomm told everyone else the equivalent of “since Samsung is more important than you, you can either wait until after the GS8 launches or use last years chip.” Its as simple as that. Is this anti-competitive? Maybe. Bad for business? Clearly not if you are either Qualcomm or Samsung. For everyone else…that’s a different story. We will be exploring this topic a bit more in depth in the next Silicon Theory podcast too. So there are this month’s Silicon Theories – if you have any topics you’d like to see us discuss, hit up our inbox at silicontheory@gmail.com or find us on Twitter and Instagram @silicontheory – cheers! I know we’ve been away a while, and while this lull just before Mobile World Congress is a bit of a bore, there is still some news. But – some real world stuff has gotten in the way of our production lately, but rest assured Silicon Theory in all its forms is coming back to the internet near you soon. We have another podcast coming soon, as well as new and original written content surrounding the devices you are likely to see at MWC, something to say about Google Home, Nextbit’s Robin phone, and a few other goodies. Stay tuned!